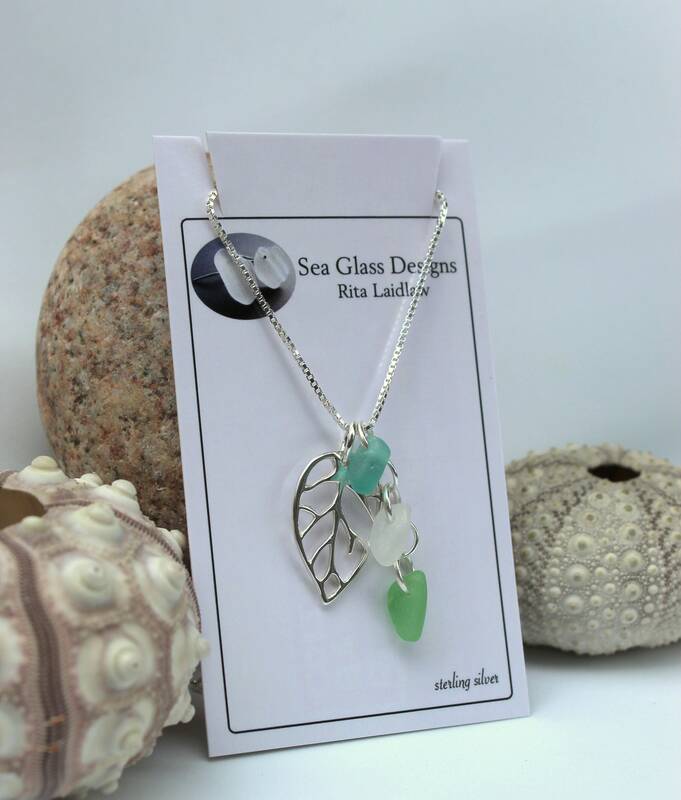 Our Little Leaf sea glass necklace is perfect for the nature girl, handmade in Nova Scotia using genuine sea glass and sterling silver! 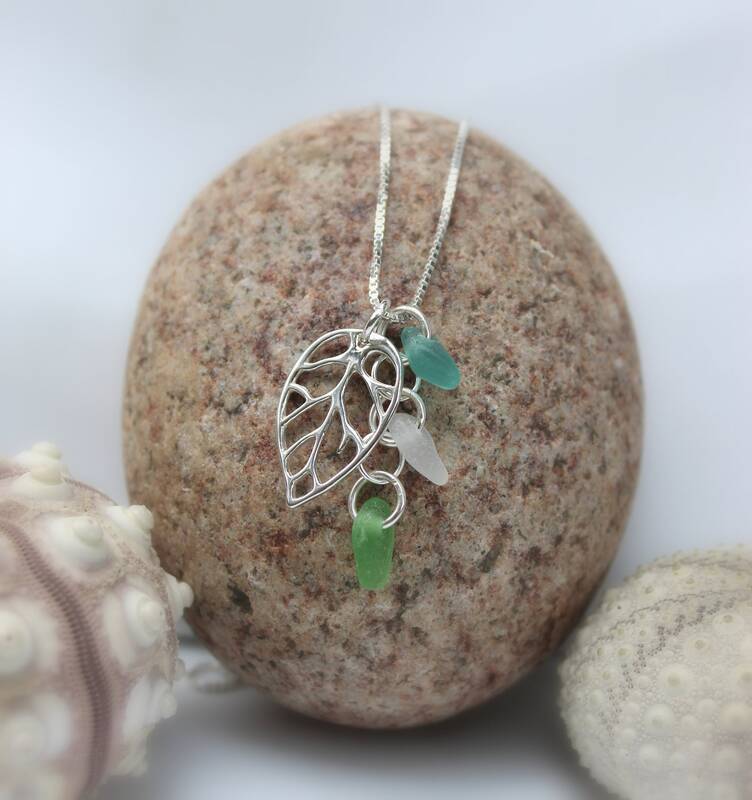 Tiny sea glass drops in aqua, white and green dangle beside an open sterling silver leaf, on your choice of chain length so that you can wear your necklace just where you like it! 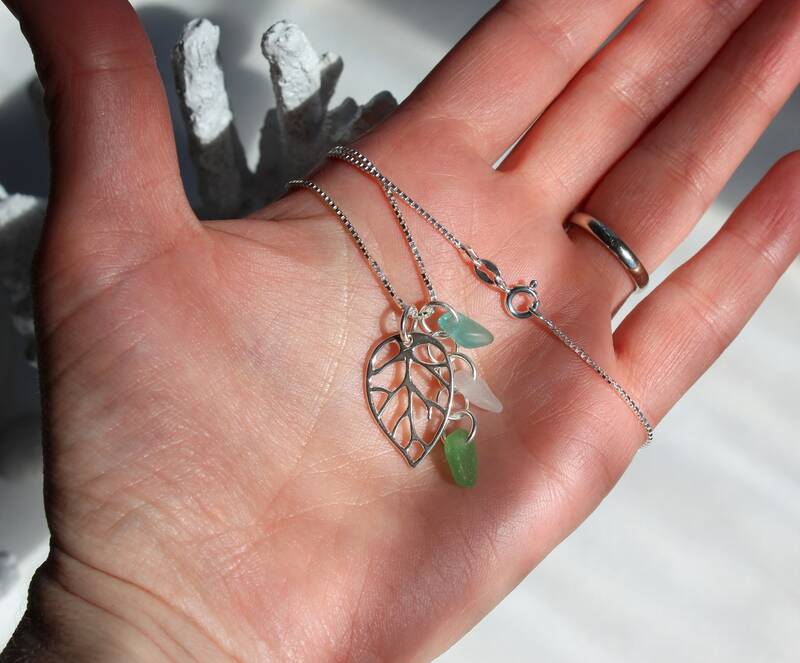 The pendants may be worn together or separately for different looks. 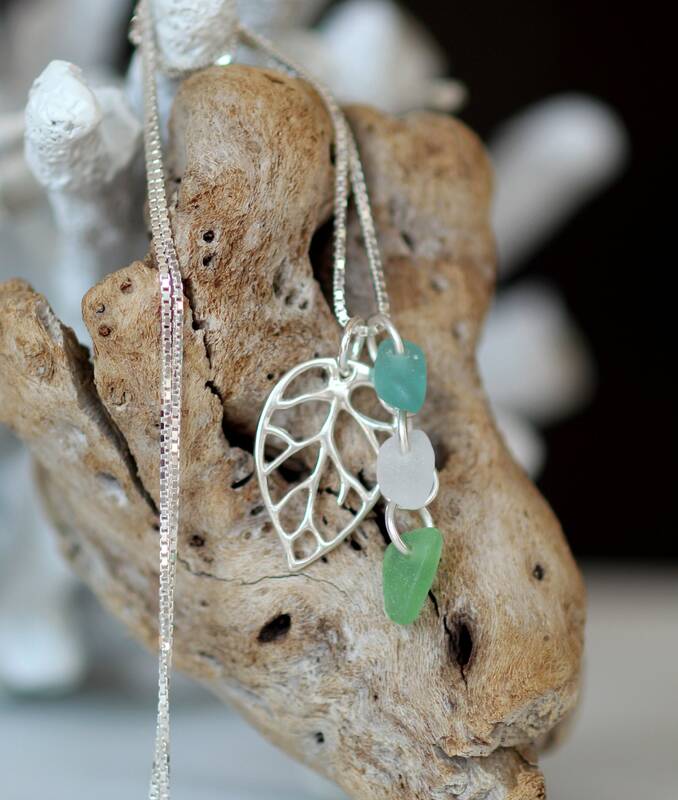 Our jewelry comes boxed with the Sea Glass Story on the inside lid, ready for gift giving. 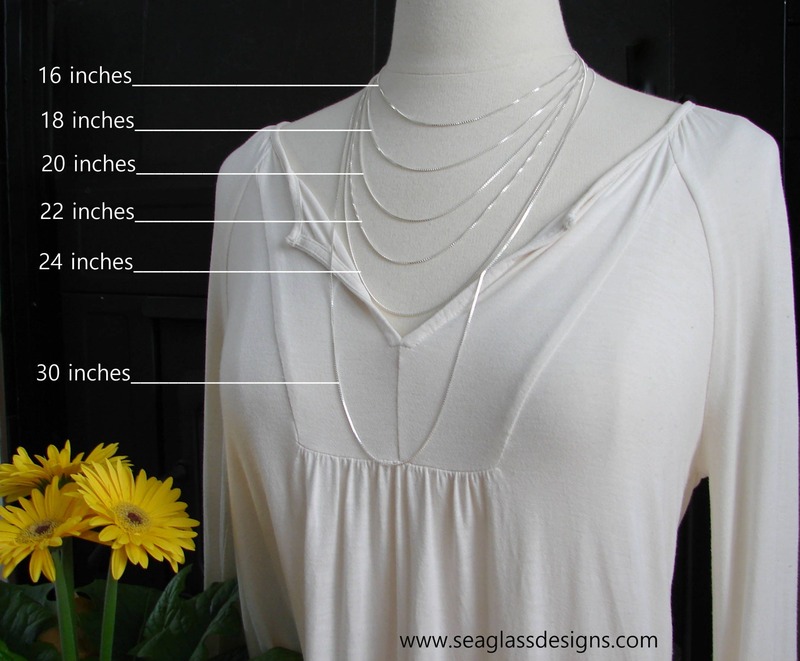 Your order will arrive with a polishing cloth to keep your necklace looking new. 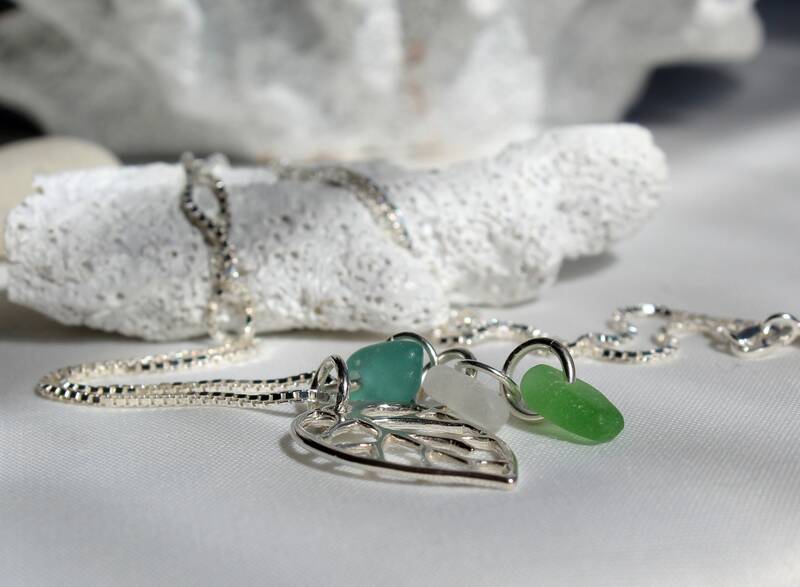 ~ We use only genuine sea glass, the colours in this necklace are aqua, white, and green. 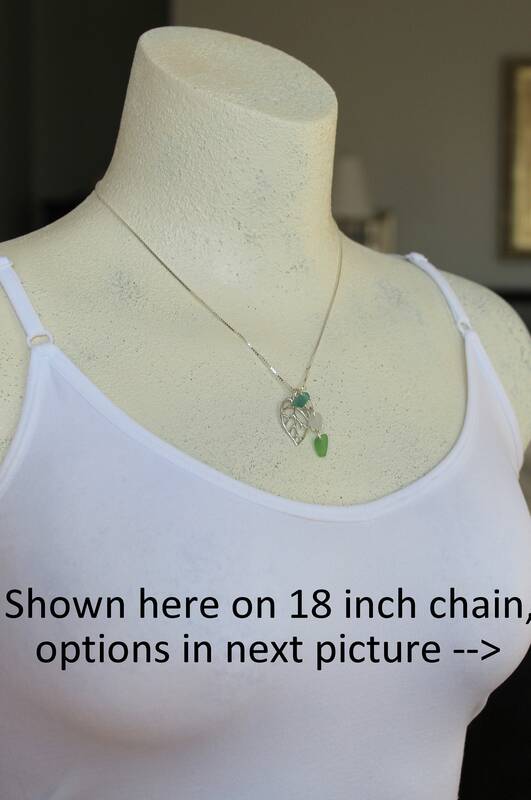 ~ Choose from 16, 18, 20, 22, 24 or 30 inch chain- see 8th photo. 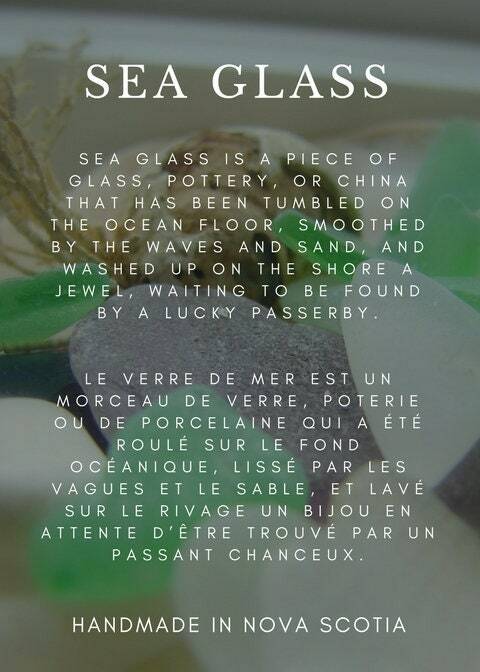 ~ The pendant measures approximately 1 inch (2.5 cm) in length See 6th photo to help visualize the size. 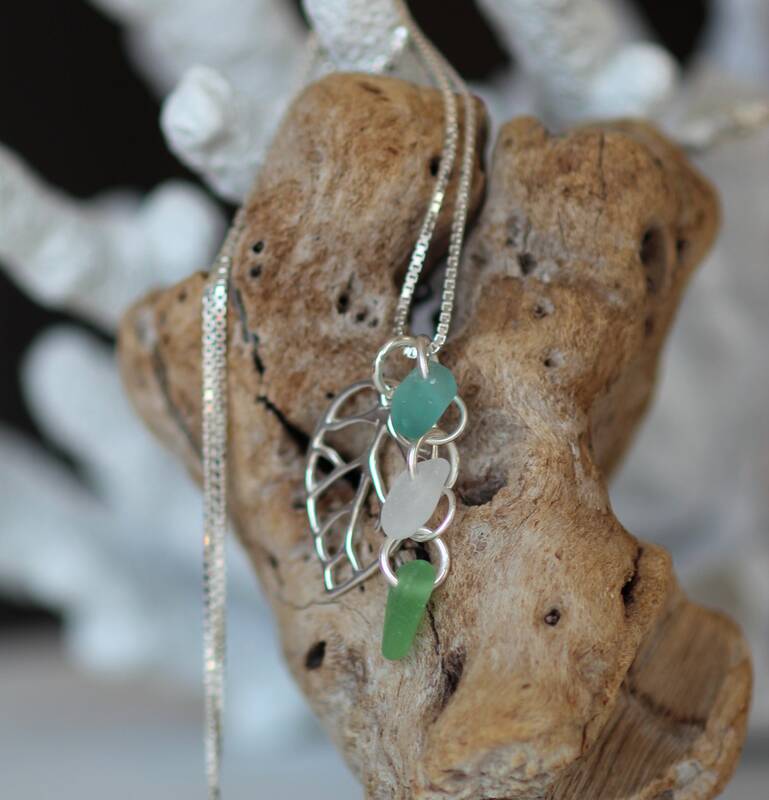 ~ Gift wrapping option available at checkout. Include your own special message in the card.